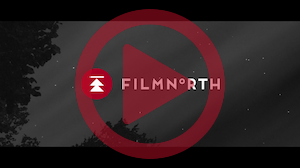 FilmNorth’s Youth Media Programs work with youth from the Twin Cities area, both in and out of schools. The mission is to teach filmmaking as a means of engaging kids in their education—developing artistic, critical thinking, and career skills while examining issues in their own environments. JuiceMedia is an after-school youth filmmaking collective of high school students. The Fall term runs early October until mid-December and the Spring term runs end of January until mid-May. The program meets 3:30-5:30 pm, Tuesdays, Wednesdays and Thursdays. JuiceMedia is free for students on free or reduced lunch with a suggested tuition of $350 for others. Metro Transit bus cards are provided for Minneapolis and St. Paul students on scholarship; other youth able to provide their own transportation are welcome to apply. Young filmmakers interested in joining should contact Youth Programs Manager, Emily Downes, via our contact page or apply online. 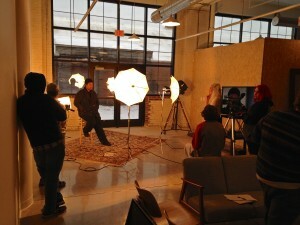 FilmNorth supports 6- to 12-week in-school residencies in Minneapolis and St. Paul Public Schools. Residencies cater to the needs and interests of partnering schools and classroom teachers. Like all FilmNorth youth programs, the residencies are project-based and student-directed. Examples range from collaborative short documentaries profiling school events or activities in the community to a series of short films, such as video poems focused on social justice. Many past residencies have resulted in award-winning films. Weeklong film and photography Youth Summer Camps for kids 10-18, plus our 3-week FilmNorth Academy for ages 17-24, are offered June through August. Summer camps include an introduction to video production, workshops on screenwriting, animation camps, digital photography and more! The program is seeking all levels of involvement. If you are interested in volunteering please contact Youth Programs via our contact page or call Emily Downes at (651) 644-1912, ext. 4.